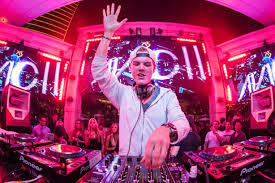 I am continuing my delve into club/dance music which is just slightly outside my comfort zone but Swedish DJ Avicii puts together such fun, catchy “warm-up” tunes. I love “Hey Brother” and “Wake Me Up” so when I heard he recorded with Lenny Kravitz—I downloaded the song right away and decided to trip around the last couple of decades to being you this playlist. You’re welcome!!! Let me know what you think of it and remember—I need song suggestions, always. I love how the song seems to ebb and flow– making it a perfect warm-up for getting my students used to being on the bike. I have them match the beat with their peddling but it also works for any kind of group fitness class. The beat here is fun, happy and builds in joy as you move along which is just about perfect for any workout playlist. Sometimes you want your class to fall into a trance and just the music flow…this song does that very nicely from this Australian band. I know there are people out there who hate Coldplay and complain anytime they are played on the radio but I love them and this song always makes me want to go on long climbs and think about life. How committed is singer Dave Grohl to rocking out as hard as possible? The dude broke his leg falling off stage and stayed until the show was finished! I wish these two would record a whole album together—this song just cooks! My inner 90s rock goddess loves hearing this band anytime and this particular tune is perfect for sprinting. Third Eye Blind is best known for their druggie anthem “Semi-Charmed Life” but I really like this song so much more. If it has been a while since you heard this one from Avril—go back to it. She did some might fine songwriting here and she was just 16 years-old when she recorded it. That’s all I have today folks. Let me know about some of your favorite songs and radio stations. I am always looking for good tunes.